Dave Woollums, vice president of research and development as well as engineering for the Mueller Co., shows off the company's new Technology Center in Chattanooga. 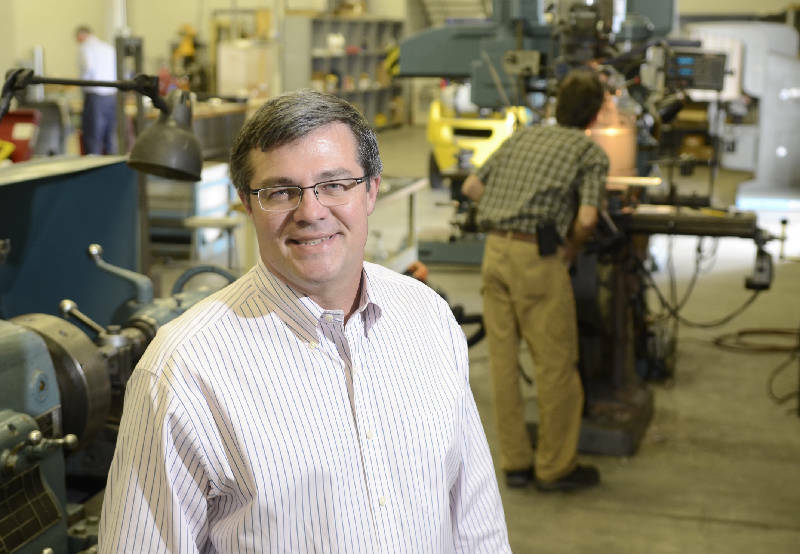 One of the nation's biggest makers of fire hydrants and water valves has relocated its research and development center to Chattanooga. Mueller Co. has expanded its technology center and put it at Bonny Oaks Industrial Park. "We're tasked with developing the next-generation products for Mueller," said Dave Woollums, the company's vice president for research, development and engineering. Mueller, part of Atlanta-based Mueller Water Products which sells products primarily to municipal water systems, announced in 2010 it was shifting its corporate headquarters from Decatur, Ill., to Chattanooga. Mueller Co. placed its home office in the Republic Centre downtown. Now, Woollums said, the company has merged R&D facilities in Chattanooga and expanded them, relocating a Rhode Island center and activities from some of its manufacturing plants. He said Mueller is "putting technology in what has been dumb things." "It used to be mechanical devices," Woollums said. But currently, the technology also involves imbedding sensors which provide information about valves and the water system, making them more reliable and efficient, he said. Woollums said the main reason the center was moved to Chattanooga "is to get close to the factories" in Chattanooga, Cleveland, Tenn., and Albertville, Ala.
Company spokesman John Pensec said the new Mueller technology center is located close to headquarters. Mueller now has about 500 employees in Tennessee, including 45 at its headquarters and new research center in Chattanooga, Pensec said. He said the Chattanooga production plant off Amnicola Highway has 380 workers, while Cleveland has another 80. Mueller officials declined to say how many people the technology center houses at its location in the former Chattanooga Gas building. The company is leasing 13,000 square feet in the former gas company's meter shop. It also is leasing 10,000 square feet of office space, according to Mueller.